Our custom made leather belts are wrapped around many satisfied customers! Your Big Mans Custom Made Leather Belt is what we will tool for you. We put pride into all our belts that are custom made specifically for you. Using our top quality leather assures you that your belt will satisfy you for many years. Our custom made SANTA belts have been desired for many years. We fulfill the quality every Santa wants in their belt. Our exclusive custom designed SANTA buckle adds a sparkle in every child's eye! We use Chicago screws in all our belts. This allows the customer to interchange the buckle to their own preference. If your looking for your special buckle and cant find it, please send us an email. We have access to many buckles and will do our best to find your special buckle your looking for. If you're interested in your Big Mans Extra Large Belt and your choice is unavailable please email us your request. 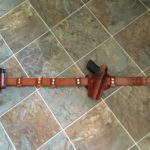 We have made custom belts up to 92 inches in length. Our hand tooled leather belts are available in the larger belts sizes. 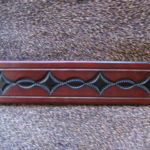 We will make your custom tooled belt in any length if we have the belt leather available. 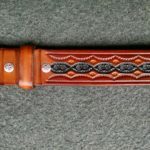 If you have a special pattern you would like tooled on your belt, please contact us. We will do our best to make your custom belt idea a reality! Our belts are all custom sealed on the back side at no additional cost. Most orders will be shipped in 7 to 10 days. Please allow up to 14 days for your Custom tooled leather belt order to be shipped. If you need a belt ASAP please email us with your request. We will do our best to accommodate your request. There may be an additional charge for this request. *Please note.... 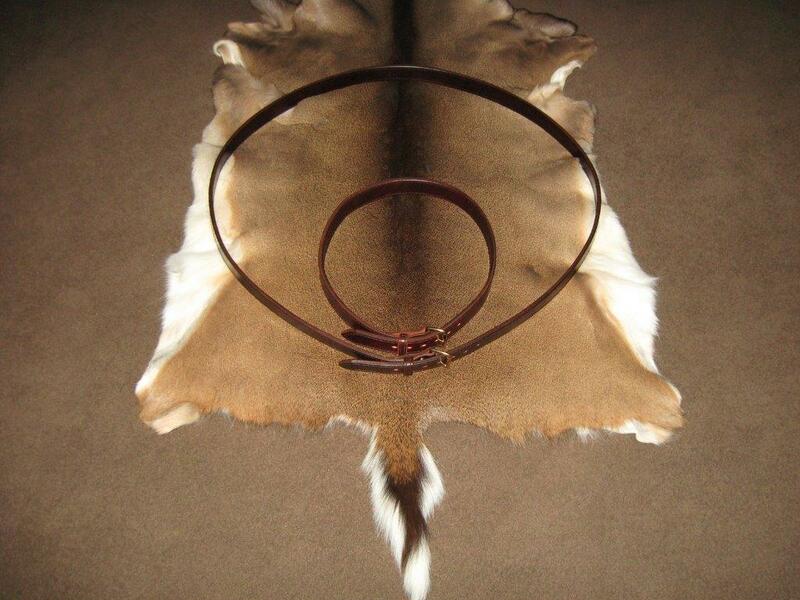 Some finished belt colors may appear different on some monitors and may vary from one leather hide to another. Thank-You!